On Thursday morning, a commuter train crashed into the station in Hoboken, New Jersey, in an incident being referred to as a "mass casualty event." This has left many wondering what a mass casualty event is. According to the Boston Public Health Commission, it refers to any situation in which the "number of casualties... exceed the resources normally available from local resources." This can include transportation crashes, like the Asiana Airlines plane crash that left three dead and 187 wounded in 2013, or acts of terrorism like the Boston Marathon bombing that same year. At approximately 8:45 a.m. train #1614, a Pascack Valley line departure from Spring Valley operating to Hoboken, struck the Hoboken Terminal building on track 5. Initial reports indicate multiple critical injuries. 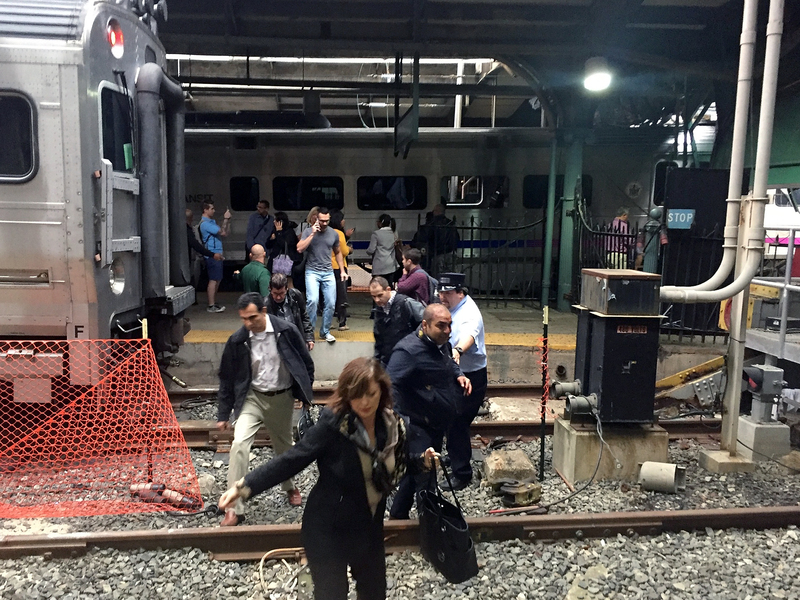 Rail service in/out of Hoboken is suspended due to the incident. HBLR and PATH are also suspended into and out of Hoboken Terminal. NJ TRANSIT bus, private carriers, and gerry services are cross-honoring NJT rail tickets and passes. The exact number of people wounded in the Hoboken train crash is still unknown, but Fox News reports that more than 100 people have been injured. According to NBC New York, the crash appears to have been caused by train No. 1614 going through a bumper stop at the end of the track and into the station itself. The reason for the crash is not known yet, but law enforcement officials say it seems to be accidental or caused by operator error. New Jersey Transit tweeted that all rail and PATH service has been suspended in and out of the Hoboken station. Photos posted to social media show significant damage to the structure of the station. According to CBS News, at least three have been confirmed dead. "[The train] simply did not stop. It went right through the barriers and into the reception area," local news anchor John Minko told CBS New York. The Hoboken terminal is one of the most popular stations in the New York City metropolitan area.